Why Is Celery Juice Getting So Much Attention? It started with kale, chia and avocado toast and now we’re onto celery juice: the latest and greatest trend in the world of health and nutrition. Instagram celebs like the Balanced Blonde and Melissa Wood have been posting it all over their feeds, and even Kim Kardashian is drinking it, but why? What is it about the fibrous vegetable that has captured the attention of nutrition and health circles? Celery has never really been a noteworthy vegetable and to be honest, it is often viewed as boring and bland. This could be because it is made up of 95 percent water and has virtually no calories. You actually burn more calories chewing a stalk of celery than are present in the vegetable itself. However, celery has recently made its way into the spotlight thanks to a man named Anthony William, who calls himself the Medical Medium and the “originator of the Global Celery Juice Movement”. According to William, a higher-level spirit provides him with health-accurate information that he successfully uses in treating numerous types of disease and celery juice is at the forefront of his health-based recommendations. As the originator of the celery juice craze, he calls it a “Miracle Juice” and believes it to be “one of the greatest healing tonics of all time”. Specifically, William says that drinking 16 ounces of celery juice daily (the equivalent of 1 large bunch) on an empty stomach can reverse inflammation, improve digestion, lower blood pressure, cure chronic illness and help to resolve many types of autoimmune disease, like Hashimoto's and psoriasis. Be forewarned, it is not uncommon to experience loose or frequent bowel movements within the first week of juicing. This is not abnormal as loose bowels are the body’s way of detoxifying and will likely regulate themselves rather quickly. Gas and bloating are also common, but be patient. Celery is a natural diuretic and will actually assist in reducing bloat over time. When we analyze the content of a celery stalk, it contains a variety of nutrients like vitamin C, K and B6 that are beneficial to our health. Vitamin C is a popular antioxidant that helps support the immune system and helps to combat inflammation. Vitamin B6 is involved in the production of hormones and neurotransmitters (like serotonin and norepinephrine) thereby assisting in mood regulation and helping us cope with stress. Vitamin K is a fat-soluble vitamin that helps to deposit calcium into our bones. It also assists in regulating blood pressure by preventing mineral build-up in the arteries. However, does this make celery juice the “cure all” tonic that Anthony William claims it to be? Critics in the health and nutrition world are saying probably not. In fact, many argue that there is little scientific research to support his claims accusing him of dispensing “junk science”. There are some scientific studies that look at the effects certain components found in celery have on living animals. Whether this means those properties of celery would have the same effects on humans or not is inconclusive. One study looked at the role of apigenin (a common flavonoid, a type of phytonutrient, abundant in celery, rutabaga and parsley) in treating gastritis and gastric cancer in Mongolian gerbils. The study did, in fact, discover a positive outcome at inhibiting gastritis and reducing the progression of gastric cancer. However, it can be argued that the anatomy of a gerbil is incomparable to that of a human and the amount of apigenin being administered to these gerbils would be extremely difficult to intake on a human scale. Moreover, these gerbils were not drinking large amounts of celery juice, but rather were given pure forms of apigenin. A second study found that an extract from celery seed was helpful in lowering blood pressure in hypertensive rats and had no effect on rats with normal blood pressure. However, it would be difficult to directly link the same results to a human drinking celery juice. Additionally, we have to remember that humans are not laboratory animals. Some critics within the medical field are skeptical that William bases his entire theory about celery juice on the presence of what he calls “cluster salts”, which are allegedly responsible for the miraculous properties of celery. However, these “cluster salts” are undiscovered and do not actually exist in evidence-based science. As a holistic nutritionist, I understand that not all natural remedies are supported by scientific research. However, within our field of practice we do not claim to cure and treat disease without sound, scientific evidence as this provides the public with false hope and expectations. Importantly, without scientific research we cannot advertise or expect it to have a miraculous effect on acute or chronic disease. That being said, I would not discourage someone from drinking celery juice as it seems to provide essential nutrients that are beneficial for your health. In my professional opinion, I do not believe celery juice in and of itself is enough of a nutritional powerhouse to be considered a miracle worker. 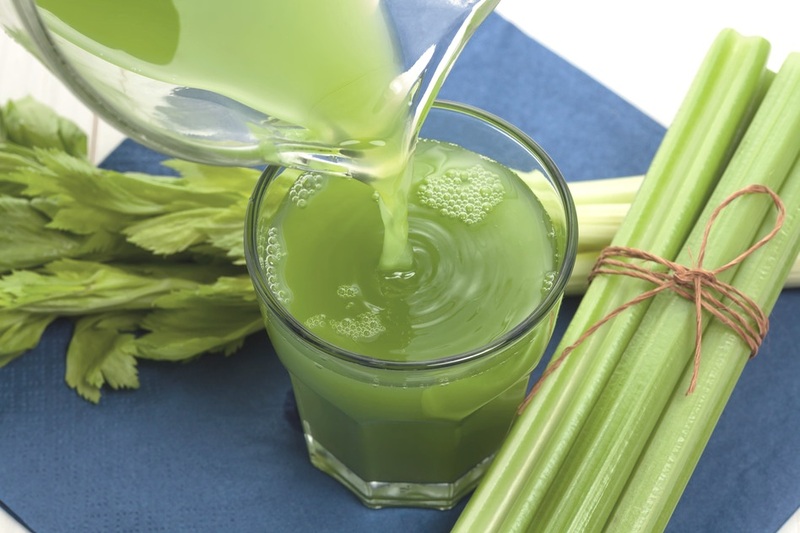 In fact, many of the reported benefits of celery juice (like relieving constipation and increasing energy) can easily be attributed to a boost in hydration, not to the celery juice itself. I also believe that as a society, we tend to look for “heal-all” tonics that require minimal time and effort. In reality, the healthiest people are those who consume an array of fruits and vegetables that provide a variety of different nutrients. In conclusion, of course celery juice has its benefits. However, it certainly should not be used to replace other fruits and vegetables in your diet, and it should not be considered a ‘miracle juice’ that will cure all types of ailments. *Important for our readers to note that this site, its content and any linked material are presented for informational purposes only and are not a substitute for medical advice, diagnosis, treatment, or prescribing. Nothing contained in or accessible from this site should be considered to be medical advice, diagnosis, treatment, or prescribing, or a promise of benefits, claim of cure, legal warranty, or guarantee of results to be achieved. Never disregard medical advice or delay in seeking it because of something you have read in this site or in any linked material. If you have, or suspect to have, a medical condition, please consult a medical professional. Air-Purifying Plants: Do They Work?